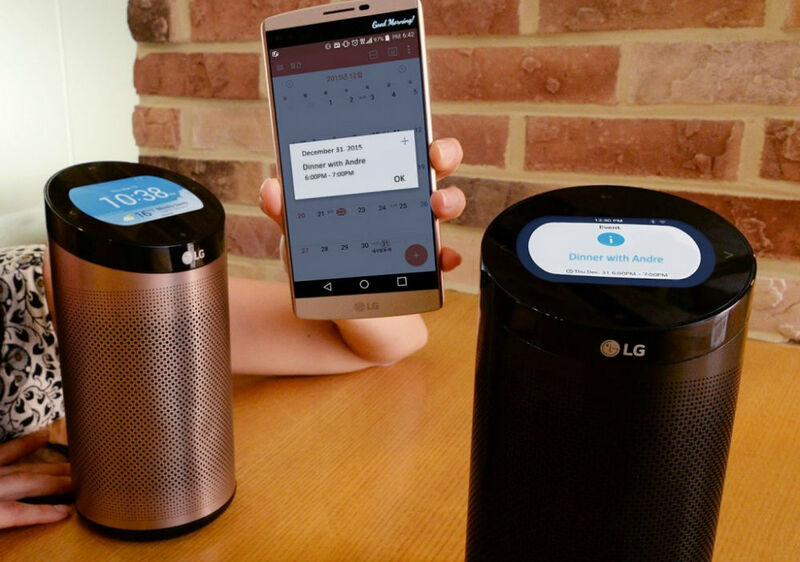 Set to be shown off at the upcoming CES in Las Vegas, LG has unveiled the SmartThinQ Hub, a core for your smart home. Much like an Amazon Echo, which can be connected to other smart things in your home, the SmartThinQ Hub is designed to connect to washers, dryers, as well as other smart appliances to deliver notifications to you. Not only does it handle your appliances, but the Hub can also stream music, display upcoming calendar events from your datebook, and so much more. One difference between Amazon Echo and SmartThinQ Hub is LG’s placement of a 3.5″ color LCD display on the device itself. This is where, if audible notifications are not your thing, you can view a readout of what’s going on in your home. You will see calendar events, what music is playing, and notifications of that nature. Much of the control and communication with the device can be done via a smartphone application, just as it is done on the Echo. If your home is filled with mismatching brands, don’t fret, as the SmartThinQ Hub is compatible with a number of devices from other manufacturers and service providers that support the AllJoyn Alliance open source framework. This means you can connect smart devices from other OEMs to the same hub. LG has yet to announce a price or release, but again, it will be on display during CES.